Celebrities took to social media and other outlets to express what the loss of a great “visionary” meant to them. News of Steve Jobs’ death Wednesday caused an outpouring of memories from people who grew up using the technology he created. Celebrities took to social media and other outlets to express what the loss of a great “visionary” meant to them. See what they had to say below. George Lucas: The magic of Steve was that while others simply accepted the status quo, he saw the true potential in everything he touched and never compromised on that vision. Alec Baldwin: Sad about Steve Jobs. On par with Henry Ford, Carnegie, and Edison. Damon Lindelof: Steve Jobs. On behalf of every dream sitting in his or her garage who is crazy enough to try to change the world, you will be missed. JJ Abrams: There are so few people who are undeniably, brilliantly inspiring. Steve Jobs, a man who changed the way we create, the way we communicate, the way we live, was one of thse people. I already miss knowing he is out there. Emmy Rossum: Rest In Peace, Steve Jobs. A true genius and kind man. I was lucky to meet him and his family when I was a young child. He will be missed. Neil Patrick Harris: Rest in peace, Steve Jobs. Your genius will live on for generations to come. 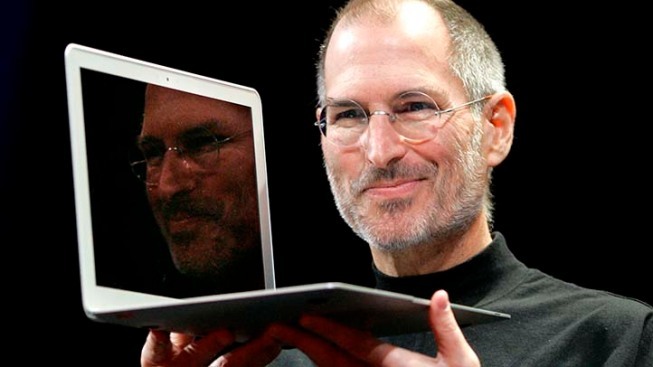 Alyssa Milano: Rest in peace, Steve Jobs. You were always a big part of my world with your special inventions. Thank you for your brain.